The North Yungas Road (alternatively known as Grove's Road, Coroico Road, Camino de las Yungas, Road of fate or Death Road) is a 61-kilometre (38 mi) or 69-kilometre (43 mi) road leading from La Paz to Coroico, 56 kilometres (35 mi) northeast of La Paz in the Yungas region of Bolivia. It is legendary for its extreme danger and in 1995 the Inter-American Development Bank christened it as the "world's most dangerous road". One estimate is that 200 to 300 travellers are killed yearly along the road. The road includes cross markings on many of the spots where vehicles have fallen. 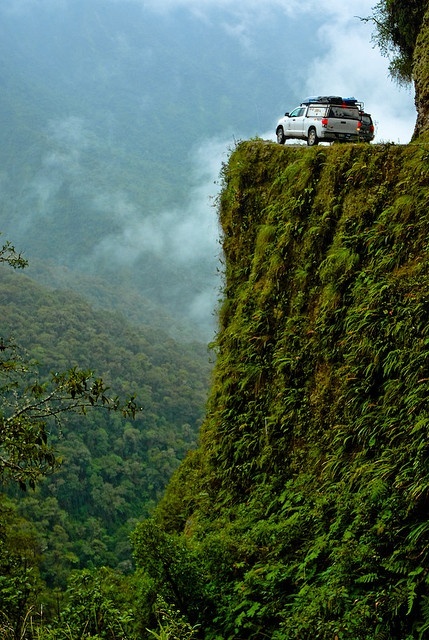 A South Yungas Road (Chulumani Road) exists that connects La Paz to Chulumani, 64 kilometres (40 mi) east of La Paz, and is considered to be nearly as dangerous as the North Road.